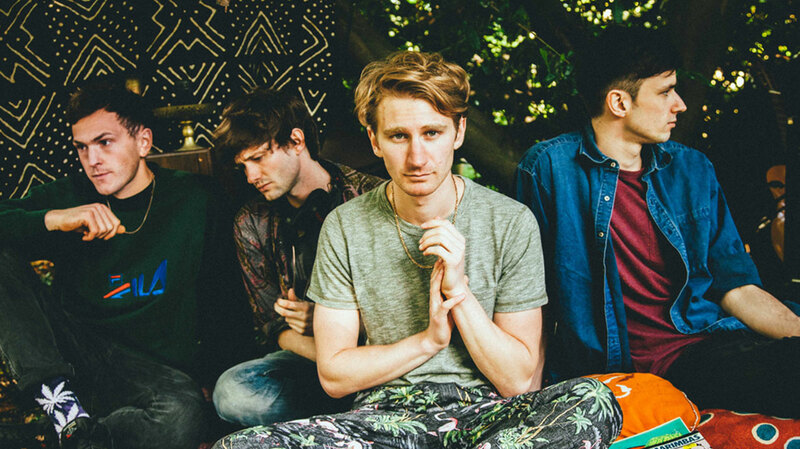 Fusing elements of trip hop, electronica and R&B into a gloriously gloopy strain of indie-rock, it’s fair to say Glass Animals aren’t your average guitar group. Singer Dave Bayley and drummer Joe Seaward sat down with us to explain how Roald Dahl, Joseph Conrad and super-producer Paul Epworth all influenced their full-length debut. 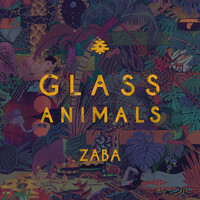 Glass Animals was a project born out of insomnia, correct? Dave Bayley: Yeah. I was at university [studying neuroscience] and spent a lot of time working late shifts at the hospital or DJing, so I’d often get back quite late and be really wired. I initially started listening to music to help me get to sleep, and eventually it just turned into me trying to make music. Had you ever tried writing music previously? DB: No, it was my first shot at it. My cousin did buy me a guitar when I was about 15, and I played that a bit but I was never very good. I just thought I’d give it a go. Joe Seaward: The songs Dave made alone were a lot more spacious and insular than the ones we make as a band now. DB: Yeah, I had four housemates so I couldn’t make much noise! I was scared; I didn’t want people to be able to see into my soul. You all met at school. Was it music that brought you together? JS: Yeah, I remember going to Reading Festival with Dave when we were 14. DB: The next year, Ed [Irwin] came with us. Drew [MacFarlane] never came but he’s not really a festival-goer. JS: He’s a bit too spaced-out for festivals. I think they would overwhelm him. DB: He’d get lost. You’d see him at the beginning of the festival and then you’d find him two weeks later, naked on an island outside of Alaska or something. So what kind of stuff were you listening to back then? JS: There was quite a cool scene when we were 14 or 15, with bands like Young Knives, The Rakes and Foals just starting. So we used to watch them, but equally there were people like LCD Soundsystem, Roots Manuva and Dizzee Rascal that we loved too. DB: And then, when we all went off to University that changed things. I was studying in South London, and the bass music scene was blowing up, and there was a lot of dubstep going on. I went to a lot of club nights by Digital Mystikz, and to the early Skream shows where he was playing really chilled-out dub music. And then the post-dubstep scene came along, and people like Joy Orbison, Mount Kimbie and Four Tet were playing a lot. I remember going to about half of the dates of Four Tet’s residency at Plastic People, in East London. Did you aim to reconcile those reference points on ZABA? What was the goal sonically? DB: I think we just wanted the album to sound like one cohesive record. My favourite albums are more than just a collection of songs; they’re records where the sum of their parts is almost more powerful than the individual tracks. JS: I think Dark Side Of The Moon is the best example of that: you get taken on this weird journey and are then spat out at the other end. We went into the record thinking it would be really cool to take someone away from the environment they’re in – be that the bus to work or whatever – and then shove them back into reality again at the end. So it was all about how we could make this world exist. The album has an exotic, almost hallucinatory feel to it. Where were you drawing inspiration from for those sounds? DB: I was reading a lot of books that dealt with people going off into unexplored territories and tropical lands – like ‘Heart Of Darkness’ and ‘The Island of Dr. Moreau’ – with really strange things happening. Somehow, those themes sort-of seeped in subconsciously and then, when I realised I was doing it, I incorporated more of those unusual sounds into all of the songs to make everything a bit more cohesive. That surreal atmosphere spills into the lyrics too, manifesting itself in this slightly child-like language. Why did you decide to create your own words? DB: I grew up reading books by people like Roald Dahl, who use a lot of made-up words and weird analogies but what they say makes sense. So that was the intention. And it all makes sense in my head! You use anthropomorphism to disguise your subject matter too. Why did you feel the need to disguise it at all? DB: I was scared. I didn’t want people to know exactly what I was saying; I didn’t want people to be able to see into my soul. It was the same with singing. I’d never sung before I started Glass Animals: Drew made me do it. Being quite open about things is something I’ve been getting used to slowly, and now I think I care a bit less. Another reason for keeping things slightly vague is that people will find their own meaning in the songs that’s personal to them. If you’re not abstract enough, you can ruin that. And I made my characters animals because it immediately ascribed them with certain characteristics and personality quirks; it became a kind of shorthand for describing someone very quickly. As well as releasing the record through his imprint, Paul Epworth was executive producer on ZABA. What exactly did that entail? JS: He’d be there every now and then to ask questions to. His approach and knowledge were the reasons that we wanted to sign to his label. I remember he said that one of the reasons he wanted to work with us was because our musical world already existed, but he felt that with his experience he could show us the other routes to go down too. And routes that we might not have necessarily known. DB: It was his track record too; he’s someone we have a lot of respect for because he made records that we grew up with, like the first Bloc Party album. We’re quite sceptical people, I think, and had anyone else been telling us to try new things, we might not have listened. Given his track record working with artists like Adele and Florence + The Machine, did you intimated or under extra pressure to achieve? DB: I didn’t feel any pressure. He really encouraged us to be fearless and do whatever we wanted. The faith he showed in us obliterated any sense of fear quite quickly. What have you learned from your time working with him? As your first complete artistic statement to the world, what does your debut album say about you? JS: I hope it gives a snapshot of us at the time when we were making the record. The reason that I still love the record – and wouldn’t change anything about it – is because I feel like it’s a really good snapshot of us at the end of last year. There are probably mistakes and bits that are too loud or too quiet, but that’s what we were able to do at that point in time. I hope it shows people the breadth of ideas we had. DB: We didn’t want any song to be too similar: we wanted each track to fill a space (in terms of sound and style) that the other tracks didn’t. Hopefully, that will mean that people will not quite know what to expect next. I mean, I don’t know what will happen next. Bagpipes maybe? Who knows.